Welcome to one of the most extensive Bible Tabernacle (also called the "Mishkan") sources! This CD-Rom offers an wide collection of model Tabernacle photos as well as original drawings along with descriptive text. 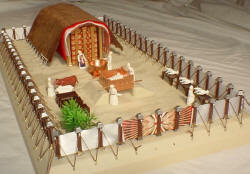 In general we have avoided doctrinal interpretations of Tabernacle symbology and have tried to key on simply presenting the Tabernacle as technically accurately as possible. This material is presented to provide you with background material for teaching your classes and sermons. To the left is a collection of quick links to our Bible Tabernacle material. The "Main Tabernacle Page" is the page that you are on now. 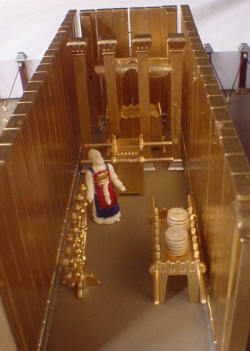 The "Tabernacle Images" page includes photos from the full scale Tabernacle model in Eureka Springs that are useful for PowerPoint presentations. 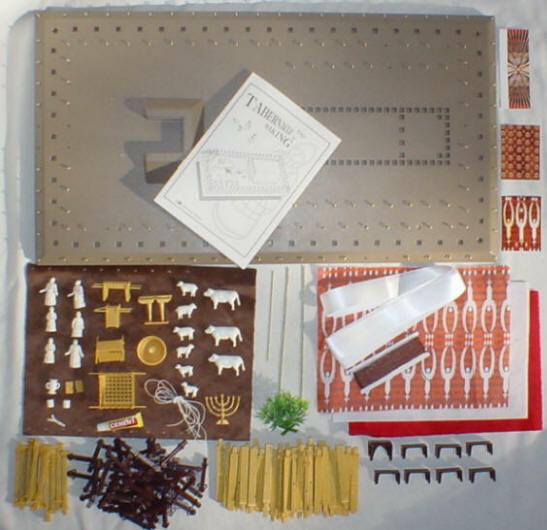 To see physical models that we built and that you can buy and build as a Sunday School or family project click on the "Tabernacle Model" link. For one of the most extensive collection of links to Tabernacle pages click on "Tabernacle Links" The other links are to detailed descriptions of Tabernacle features. Enjoy! 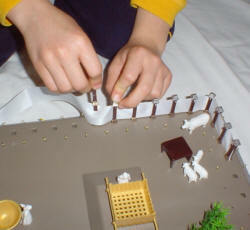 Goods and services provided by eBibleTeacher.com, LLC (IL, United States).